As a daytrader, there is a great deal of things you have to keep in check, and it’s easy to lose the overview if you try to keep track of several markets at once. This is especially true for forex trading, as there is a lot of currency pairs to trade. We are happy to announce that we can finally share a bit more about our scanner tool with you. It’s a piece of software that we have tested through a long period of time and can now share with you. 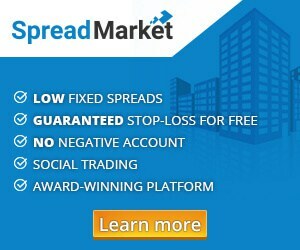 It scans the forex markets in real-time for trends and setups in based on selected indicators. What can you use the scanner for? In past few months we have posted some trades on Facebook based on the scanner. To be honest, we are very happy with the overview the scanner gives us. It makes it a lot easier to decide which pairs to focus on for the day and what to trade. The potential trades that the scanner identified has been really profitable and saved us a huge amount of time in regards to manual analysis. We have continuously been involved in the development of the scanner, both from a user and daytrader point of view and we still have a lot of requests for features of the scanner. In the following months there will be added several alarm functions and it will be possible to get pop-ups on the screen and emails with notifications about buy and sell signals for trending pairs. We are very excited to be part of the development process and look forward to sharing the scanner with you in the near future, so you can test it yourself. Do you have any good ideas for new functions on the scanner? Do you have a suggestion for a good name? Then please write a comment below.